Looking ahead to the spring of 2018, RESPEC’s Advanced BASINS/HSPF Training will be offered April 16–20, 2018, at North Carolina’s world-renowned Research Triangle Park, which is one of the largest research parks in the world. We are very proud to present advanced software training and applications information that are not yet available in engineering schools. Beginning at 11 a.m. on Monday, the training will span 5 days and focus on model structure, setup, calibration, and validation for hydrology and water quality. Attendees must have a basic knowledge of watershed hydrology. An interactive database of HSPF model parameters (HSPFParm). Our comprehensive training blends model understanding and model application instruction. Despite its breadth and complexity, attendees can clarify the relevance of lectures and experience hands-on computer sessions regarding the specific applications they need. This training ensures that attendees have an opportunity to be “up and running” for their specific needs. The BASINS/HSPF training provides interactive sessions with trainers who explain the science of watershed modeling and help participants develop their own watershed models. Participants are encouraged to discuss their problems, questions, and projects with the trainers. Participants will be guided through 5 days of structured, hands-on training that includes BASINS/HSPF orientation, computer work sessions, example watersheds, uses and applications, data management and analysis, model preparation and interpretation, calibration, and simulation output. BASINS/HSPF is a broad-based and relatively complex model and modeling system that is simplified and streamlined in this training. The training workshop has consistently provided attendees with a high level of efficiency that is demonstrated in their subsequent applications after the training. Provide an integrated watershed modeling framework. Support the analysis of point- and nonpoint-source management alternatives. Support the development of Total Maximum Daily Loads (TMDLs). Participants will learn new ways to enhance watershed modeling, support superior TMDLs, and much more. RESPEC’s experts customize each learning module to meet the specific technical needs of the attendees who may also request future customized training for specific client needs. Register today and bring your team! To register for the workshop, please email Anurag Mishra (anurag.mishra@respec.com) with a short note about your experience and interest in watershed modeling. For International Guests: Training is offered in English. Please let us know if you need a translator (available for groups of ten or more). Certificate: Participants who complete the 5-day training will receive a certificate of professional training. RESPEC’s BASINS/HSPF training workshops are taught by long-time professionals and watershed modeling experts who helped develop the software and watershed modeling system. Our training team is uniquely qualified to provide the full scope of support services that are related to the BASINS/HSPF modeling system. Our expert trainers thoroughly understand and its applications in watershed evaluation, water quality, and hydrology. 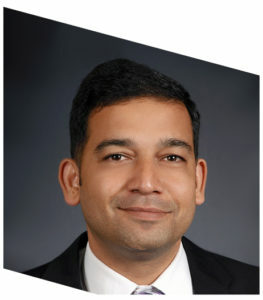 Dr. Anurag Mishra is a Senior Environmental Engineer at RESPEC with more than a decade of experience in hydrology and surface water quality modeling and geographic information systems. Dr. Mishra has provided BASINS/HSPF training for the past 7 years. 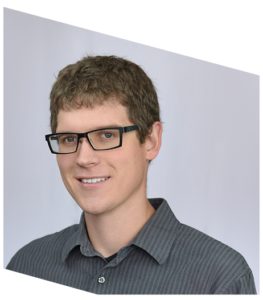 Mr. Seth Kenner is a Senior Engineer at RESPEC with a decade of experience in watershed modeling and software development. He has provided SAM and HSPF trainings to multiple clients over the last 5 years. The attendance cost of the training is $2,500 if registration and payment are postmarked on or before March 15, 2018. An early-bird discount of 20 percent off the regular cost is offered for registration and payment postmarked on or before December 31, 2017. A special student discount of 50 percent off the regular cost is available to currently registered students. (Only two student-discount training availabilities are open and require proof of a student ID upon registration). First come, first served. Registration and payment must be postmarked on or before December 31, 2017. Registration cost is nonrefundable. If you cannot attend the training for any reason, please plan to send someone in your place or reserve a future make-up training. To register for the workshop, please email Anurag Mishra (anurag.mishra@respec.com) a short summary of your experience and interest in watershed modeling.